Last February, I started my new life as a visiting scholar on the other site of the Atlantic Ocean. I will spend some time at Cornell University, in a small town named Ithaca in New York State. Cornell University is a great place to reside. On campus, we have a lake, a free museum of arts and multiple waterfalls. 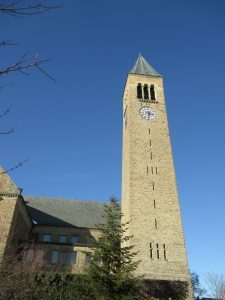 The campus is rather big as Cornell is home to 22.000 students. A lot of these students live on the campus itself. Consequently, you can find multiple libraries, gyms, restaurants and coffee shops next to the enormous amount of normal university buildings. We even have our own hotel, where most of the employees are students themselves. My main reason for coming here is to work on a multi-objective optimization project, a topic in which my new research group are experts. But there are more reasons than expertise alone to choose to adopt the life of a visiting scholar. The Environmental Economics group of Hasselt University is a wonderful research group where I have been able to learn and grow as a scholar. As every research group, we have our own perspectives and habits. To be able to spend some time in a completely different research group, in a different field, in a different country, means I get a taste of how research is performed in a completely different way. For example, the way a PhD student is regarded differs a lot. In Hasselt, I have always considered myself as an employee of the university, elaborating on the extension of the knowledge base of the University and sharing this knowledge with students through guest lectures, bachelor and master theses. 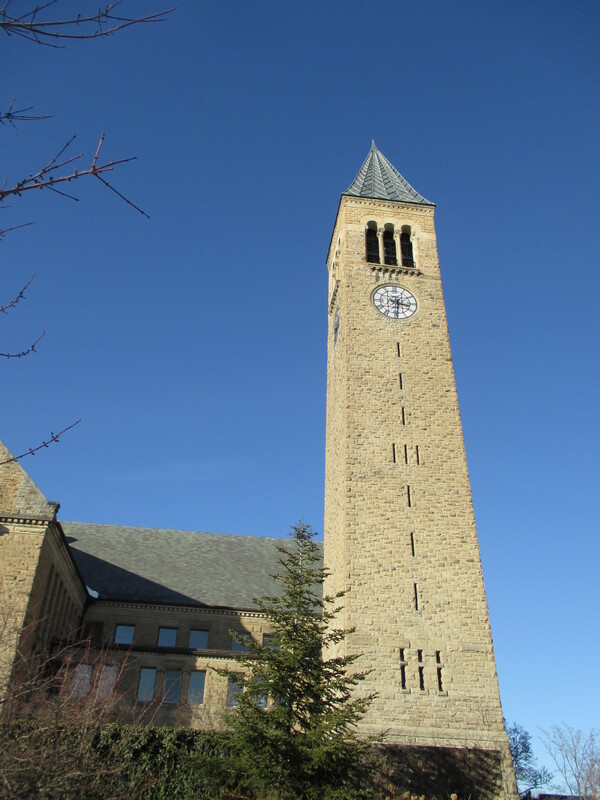 At Cornell however, I am considered to be a student, a graduate student to be precisely. A master and a PhD study are closely related here and packed together under the name of a graduate study. As a consequence, a PhD is just an extension of your study here and a more individual project. In Hasselt, I was more accustomed with ‘project PhDs’ (where a PhD student is part of a project with partners all over Europe working on it). This sort of projects I have not encountered here yet. The benefits are that your PhD is really your own defined project here, where you work on 100% (as soon as you finished your master studies, which is often considered as the 1st and 2nd year of your PhD of 6 years). The downside is that you have less collaboration with experienced researchers from all around the world. Another benefit is the amount of seminars they organize here. There are multiple seminars per week on all different topics. Something I have found really interesting is the way the professors interact during these seminars. Most of the questions are raised by these professors and at the end of the seminar the professors are often engaged in lively discussions. A bit different of how things are done at Hasselt, where the other docs and postdocs are often asking most of the questions. Besides the expertise and the other research environment, a great advantage of being a visiting scholar is the chance you get to discuss you research with people not acquainted with the path you have followed so far. Although there are a few students here who perform research which is quite similar to what I do, our approach is often completely different. Some points which are extremely important to me are more considered details here. An example is how you take into account the different forms of potential environmental impacts and if you can or should summarize this impact in one number. Where I am currently working with 35 environmental impacts to make sure I cover a broad spectrum, here they often focus merely on the greenhouse gas potential. This different approach is not better or worse, but just indicates a different perspective. The last big advantage of being a visiting scholar is not related to research in specific. Being able to spend some time in a different country is also a great asset for me as a person. I learn to adopt a new culture which seems to be so related to our Belgium culture but is in other ways so different. My respect for our international group members grows everyday. As an international research visit seems to be one big adventure in advance, it can be quite a struggle along the way (just think of the challenge of arranging all the administration). However, I haven’t regretted my visit for a moment, and if I could give one advice to my fellow PhD students it would be to just go for it:”You’ll learn things you never knew you never knew’.